It's beneficial for those undergoing physical therapy or that have achy feet, back and knees. You can also use the Deluxe Shower Bench Seat to decorate your deck, lawn and even to make your RV more inviting. Its awesome!!!! It shouldn't be called a seat though.... You definitely cannot sit on it. Home territory searches the web to find the best prices and availability on Kids Bath Accessories and related products foir your home like Bamboo Shower Seat Bench with Storage Shelf for Seating, Support & Relaxation, Spa Bath.... For this page, related items include products we find that match the following keywords: "children Bath Accessories" at our vendor partner Walmart - Click More Info / Buy Now to check for price rollbacks!. 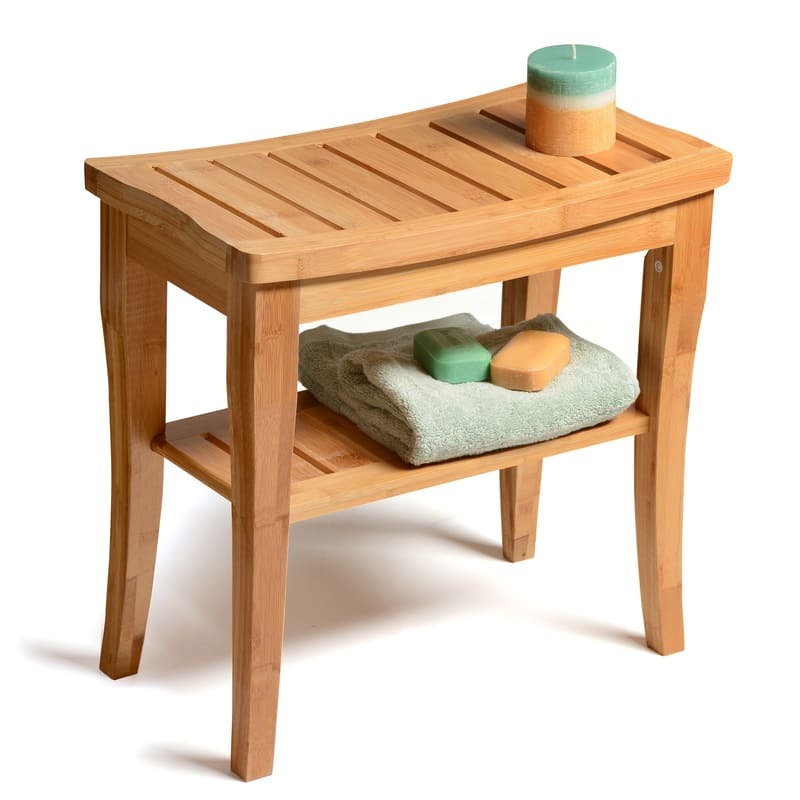 Bamboo Shower Seat Bench with Storage Shelf for Seating, Support & Relaxation, Spa Bath... is one of 171 Kids Bath Accessories and related products available for sale through HomeTerritory.com, If you have any questions on this product, please give us a call at 734-971-1210 during the hours of 9am - 5pm EST for assistance. Thank you for shopping at Home Territory, the home furnishings superstore!